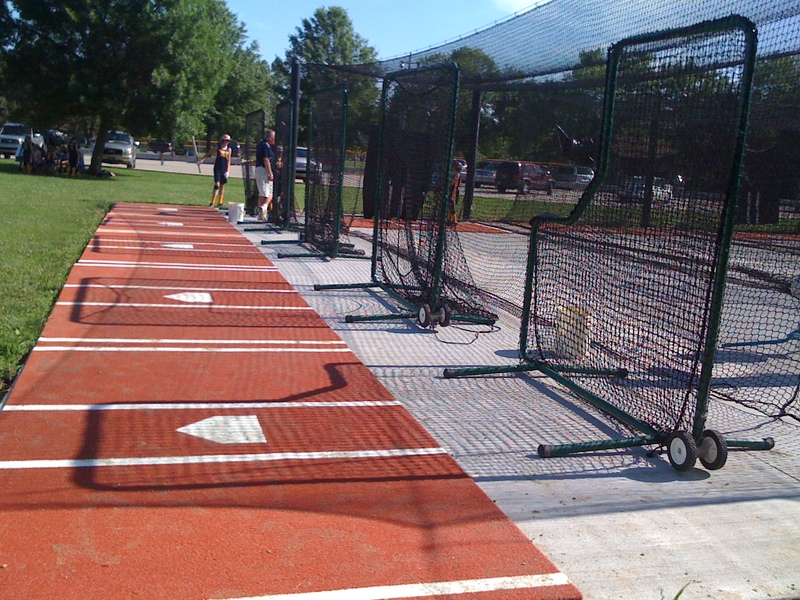 NEW BATTING CAGES COMPLETE !!! NLBSA would like to thank AEP and the Benton Harbor Line Crew for helping dig the and installing the ten 16 foot poles. 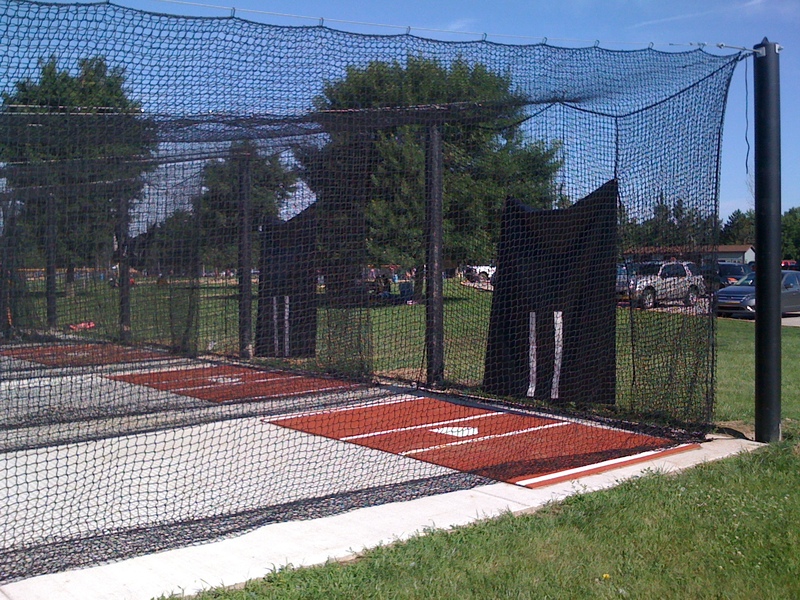 The work was completed by Jason Ackerman and Todd Boyd.. Thanks Guys !! 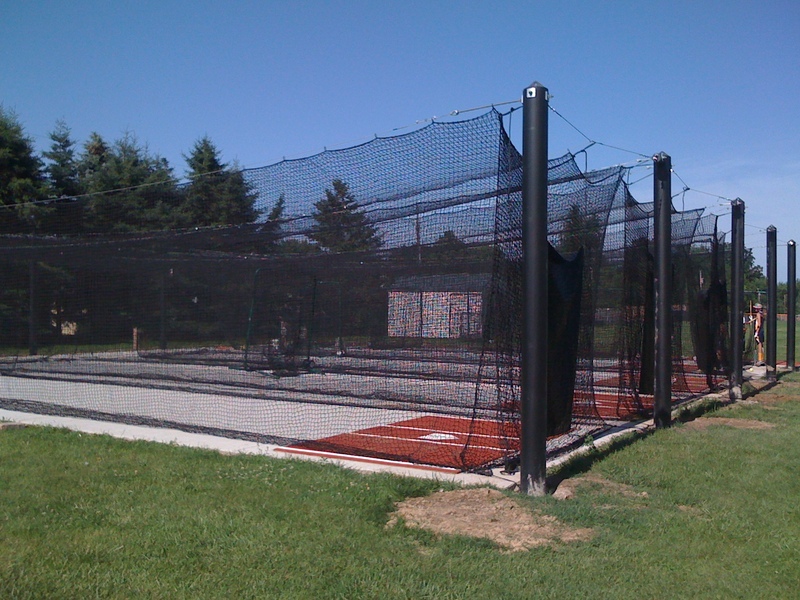 Addtional Thanks goes to Rick Lear, Chad Sharkey, Bob Dilley, Ryan Wessendorf, Scott Wessendorf, and Bob Yack for instaling the cages and setting the cement in 98 degree weather!! Would also like to thank Nick Hedstrom and John Damico for completing all the electical work to bring power to the shed and batting cages!!! We would like to thank our sponsors,St. Joseph Township officials, The Wolff family, board members, coaches and players for attending the baseball/softball cage dedication last night. 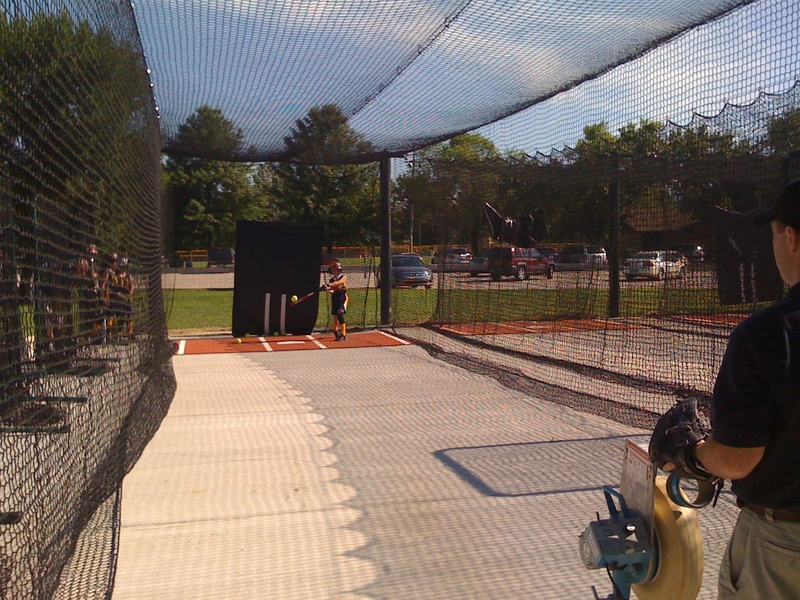 We appreciate everyones attendance and look forward to the kids enjoying the facility and park benches. 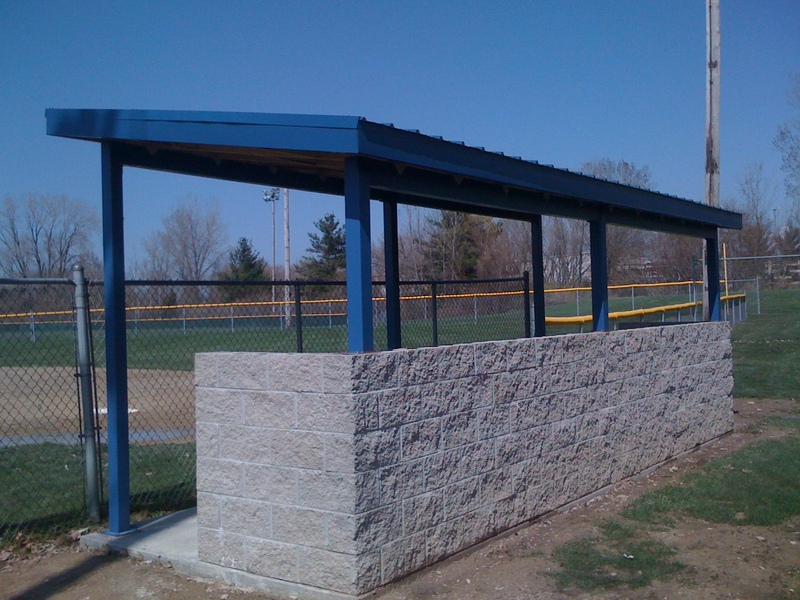 NEW DUGOUTS FOR FIELD C !!! 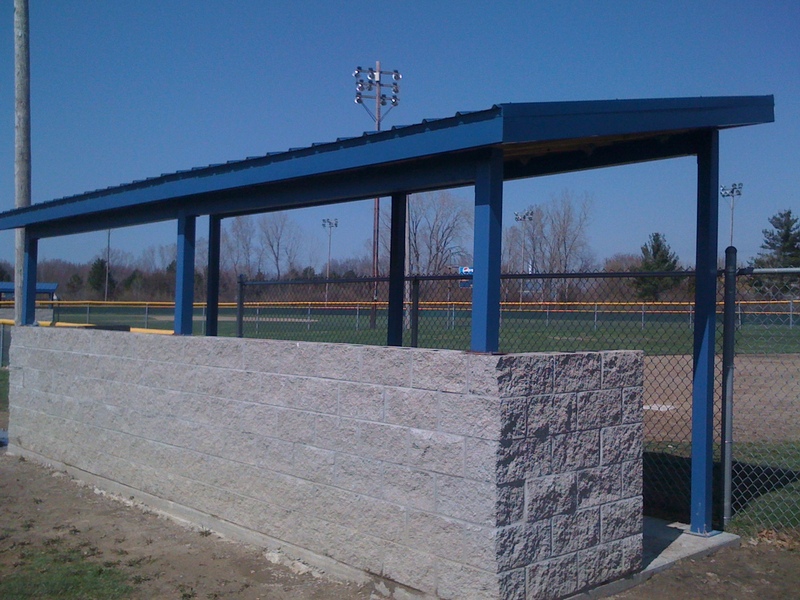 NLBSA and St. Joseph Township has installed new dugouts on Field C for the 2011 season. Final painting and top blocks will be added once the weather cooperates.